First of all I want to apologise for being MIA on my blog for the past few weeks. I've been putting a lot of time into my YouTube channel (subscribe here), but I'm back today with a super exciting review. 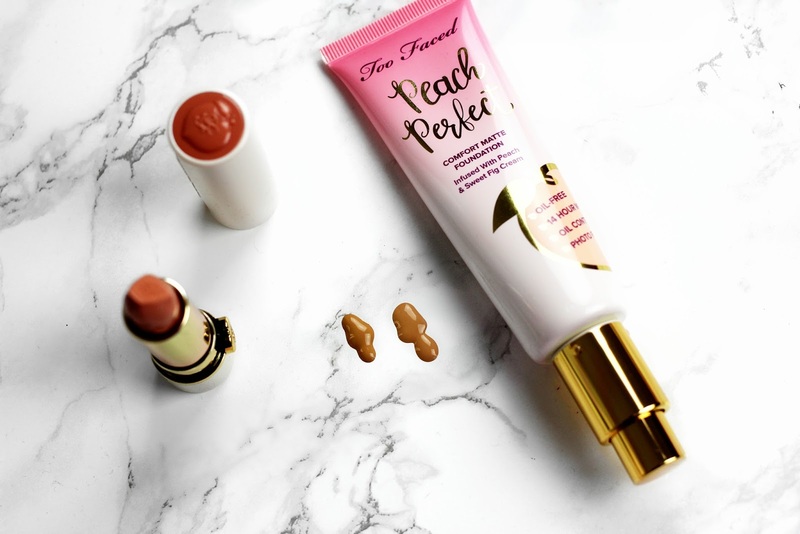 I've been lusting over the new Too Faced Peaches and Cream collection for months and I'm super ecstatic to have the Peach Perfect foundation. This is a comfortable matte foundation that is infused with peach and sweet fig cream. It is oil-free with 14 hour wear and photo friendly. The packaging is stunning and I love that it's a glossy squeezy tube with a pump. The formula is very lightweight and easy to buff in. It has medium to full coverage with a satin matte finish. The finish is beautiful because it isn't a standard matte, it has more of a radiant glow to it. It looks flawless on my face and is VERY selfie approved! It is very comfortable and doesn't accentuate texture nor does it look greasy, thick or cakey. It is a beautiful foundation that lasts the time. 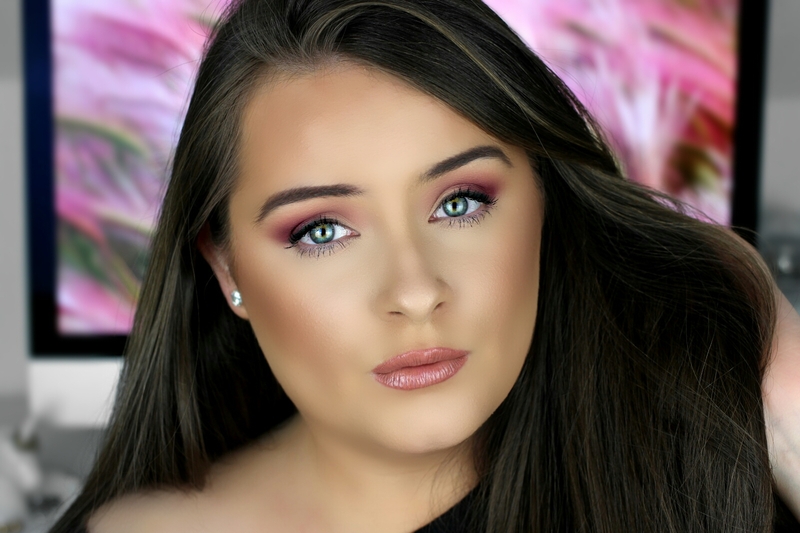 I have a tutorial and wear test of this Too Faced Peach Perfect foundation over on my YouTube channel (here). I only checked-in once around 5 hours after applying it and it look just as good as it did when I first applied it. 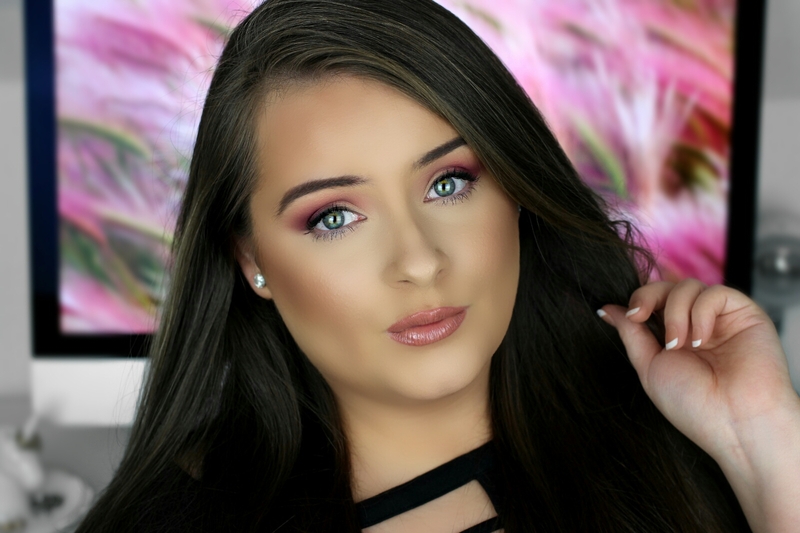 I actually wore the foundation right up until 2am (I was editing and prepping posts all day) and it still looked great (no cakiness or oil build up), however, it was starting to wear off around my mouth and cheeks (basically from touching my face) but that surpasses the 14 hour wear mark that Too Faced state. So overall I'm super impressed with the Peach Perfect foundation and I think it's my new favourite foundation! 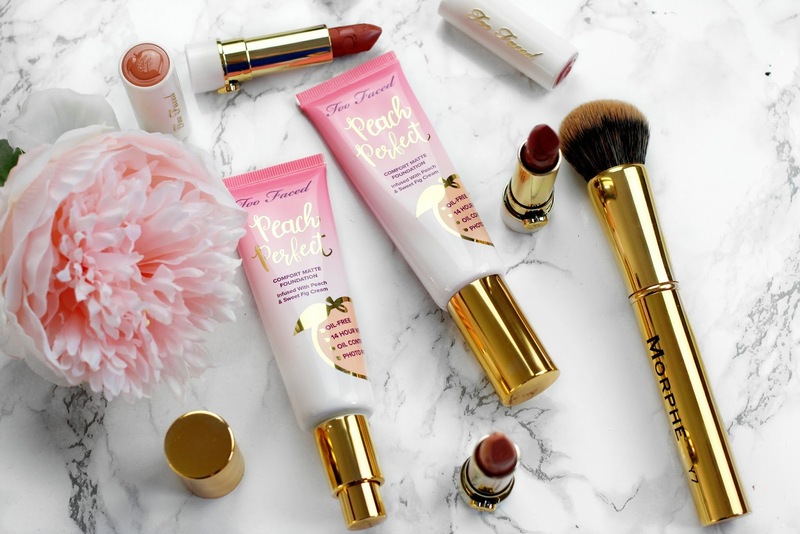 Have you tried the new Too Faced Peach and Cream collection? P.S keep an eye out for my lip swatches of the new Too Faced Peach Kiss moisture matte long-wear lipsticks coming soon! !